If you recall, back in October I posted my first list of Nintendo 3DS playtime results showing that I put the most time into Golden Sun: Dark Dawn. Now that it is a new year and months after the fact, let's take a peak at the new top ten of games I have most played on Nintendo's stereoscopic 3D wonder. With Star Fox 64 3D I got to relive one of my favorite on-rails shooters of all time. 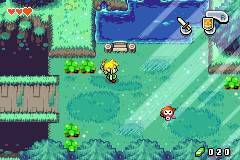 Revisiting areas and planets like Corneria, Katina, Zoness, Macbeth, and Bolse with updated, gorgeous visuals (oh, that water) gave the game new life even if I had played it seemingly to death on the Nintendo 64 and Virtual Console. I played through the Easy and N64 modes, collecting all of the medals for shooting down a certain number of enemy fighters. 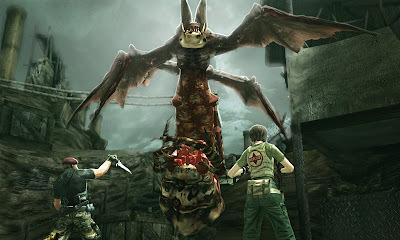 Expert proved to be a challenge with wingmates who would perish much more easily than in the previous difficulties. 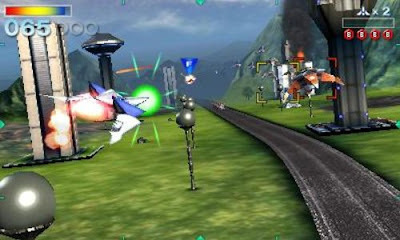 Add in a robust but offline multiplayer, and Star Fox 64 3D gave me a lot of fun. 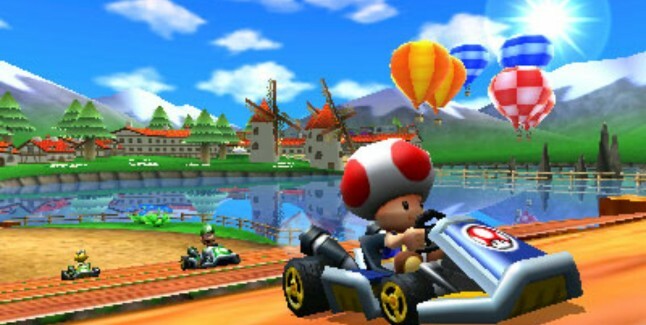 While I didn't get sucked into the online as much as other owners of this game, Mario Kart 7 offered plenty of enjoyment and excitement through racing on some of my favorite new tracks of the series including my personal most loved version of Rainbow Road. Then came the sixteen retro tracks which are the best the franchise has seen yet such as Luigi's Mansion, Waluigi Pinball, Coconut Mall, Koopa Cape, Dino Dino Jungle, Daisy Cruiser, and Koopa [Troopa] Beach. Online in Communities is a blast, but it could be refined even better. We'll see if Nintendo succeeds in doing so with their next online offerings. There's only one 3DS in our household and I know no one else who owns a 3DS, so I had to play Pokemon Rumble Blast solo. That was alright as the fun came from battling a flotilla of Pokemon in linear stages, pounding on one or two buttons to attack, and sometimes getting a new Pokemon from defeating a toy Pokemon. 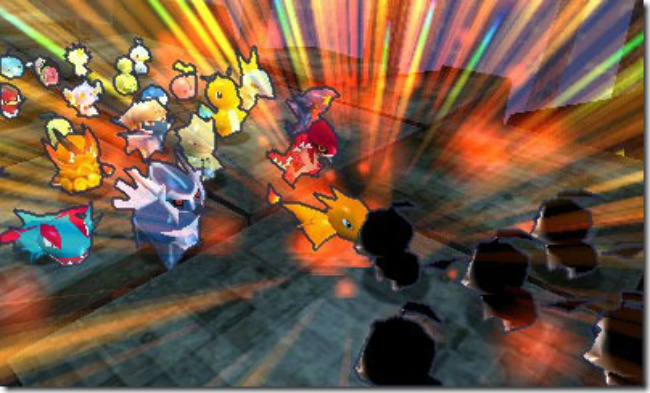 This game is all about collecting new Pokemon through battle, and while I didn't care for the triple battles (they're kind of cheap), Pokemon Rumble Blast possesses a lot of content-- at least much more than its WiiWare counterpart. Beating Pokemon Rumble Blast in playtime by only two minutes, Resident Evil: The Mercenaries 3D is the appetizer before the main course in the form of Revelations, coming to the 3DS next month. This game is an arcade title at heart with the goal of keeping your kill combo up, gaining high scores, earning new loadouts and medals for great performance, and surviving until the clock hits zero. That's easier said than done with sickle-wielding foes, chainsaw-carrying madmen, and giant hammer-slamming maniacs. Online proved to be an engaging experience with myself teaming up with a random stranger, vying for a high score and survival. As of this entry I have played three Game Boy Advance 3DS Ambassador games. One of these has had a review while the other will have one tomorrow. The former of these is The Legend of Zelda: The Minish Cap, one of the original games in the official Legend of Zelda timeline. It follows Link as he teams up with a hat named Ezlo in his quest to collect all four elemental stones to power up his blade enough to take on the sinister sorcerer Vaati as well as rescue Zelda from her stone entrapment. While the amount of dungeons isn't too large, there is plenty of activities and side quests in the form of Kinstone Fusions and Heart Container collecting to accomplish, making for one memorable Zelda. Remaining at the same number of playtime as October's results, Kirby Mass Attack appears on my list at the number five position. 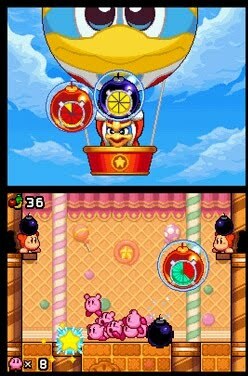 It's a game that came late in the life of the original Nintendo DS, and it split up our pink hero into ten copies. The goal of the game is to guide your army of Kirbys through obstacle and enemy ridden levels, flicking and tapping the screen to move them around. Finding hidden medals unlocks various mini-games such as a full-fledged shmup, pinball game, Whack-a-Mole title, an RPG, and even a memory match game. There's an extensive amount of content jam-packed into Kirby Mass Attack. While I didn't complete Final Fantasy Tactics A2, I did get relatively far and finished off a plethora of side quests during my time with the game. 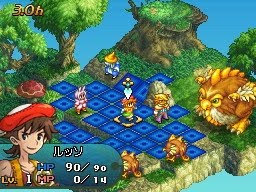 The whimsical story and setting might put off players looking for a game with the seriousness of Final Fantasy Tactics or Tactics Ogre, but if you don't mind the aesthetic, you'll find a game that will pick at your brain with its strategic battles. Luso might be wielding a giant pizza cutter, but don't let that put you off of the game. It's a competent tactical title, and it is worthy of your attention. Take it from me. With my game data I finished off the main story, not collecting everything possible but coming close. My next data I want to take on the Master Quest and see how much I like it if at all. Difficult games and SuperPhillip rarely go hand in hand. Regardless, I'm interested in the reconfigured dungeons, mirrored world, and new challenges that go with the new difficulty. It is no question that The Legend of Zelda: Ocarina of Time is one of my most cherished games growing up, and this remake on a hand-held is a dream come true. No more do I have to suffer with N64 textures and graphics and low framerates! While not the greatest entry in the Golden Sun trilogy, it was awesome seeing this franchise return in some form. 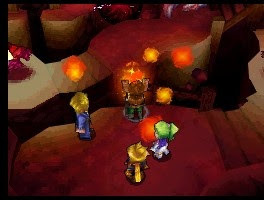 Golden Sun: Dark Dawn takes place decades after the events of The Lost Age with Isaac and Garet having children. These children are the stars of the game and on a new adventure to save the world. The game itself is relatively easy for the most part, and there are several items and spells in the game that can be permanently missed which I didn't like. However, if you are in dire need of a new RPG, then you can't go wrong with Camelot's latest role playing adventure in Golden Sun: Dark Dawn. It is important to note that with this game it is the only 3DS title that both my brother and I played to completion. That is why the time is higher than the rest. Super Mario 3D Land was named the best hand-held game of 2011 as well as the Best Nintendo 3DS Game at the SuperPhillip Central Best of 2011 Awards, and for good reason-- it is a 3D Mario that everyone can get into. Nintendo made this game accessible to all without being overly dumbed-down. Just when you think you've beaten the game 100%, Super Mario Land 3D throws a curve ball and changes things up considerably. No doubt one of my favorite Mario games, 3D Land is one of the 3DS's must-have games. 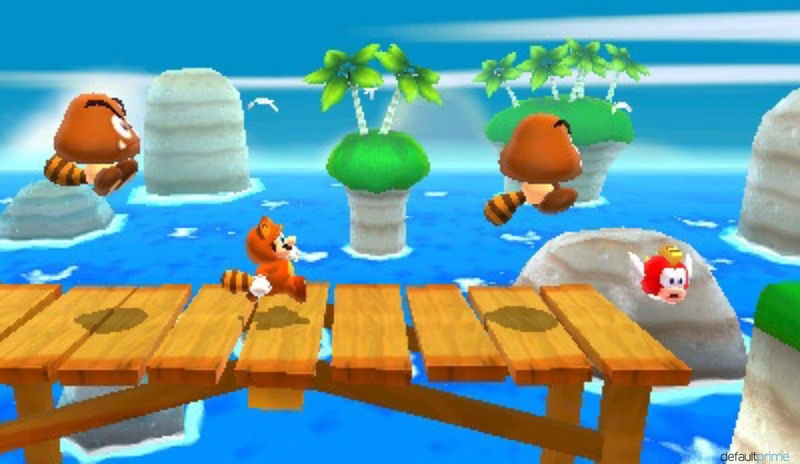 What are you currently playing the most on your Nintendo 3DS? If you don't have one (which is just fine and dandy), do you plan on getting one? And what games most interest you for 2012? Let the SPC community know in the comments section! When you mean 100% in Super Mario 3D Land, do you mean unlocking the extra story *wink wink nudge nudge*? I plan to get a 3DS sometime this year and Super Mario 3D Land is at the top of my list along with Mario Kart 7. I'll get around to Ocarina of Time 3D and Star Fox 64 3D but $40 seems like a lot for enhanced ports.